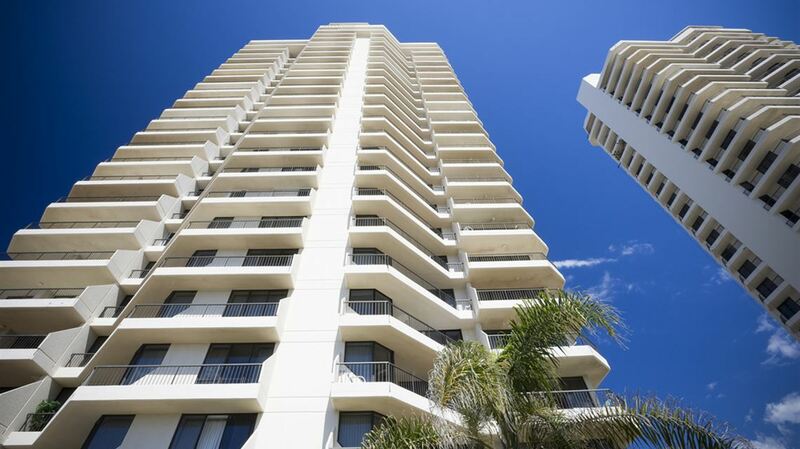 Paradise Centre Apartments, Gold Coast is conveniently located in the heart of Surfers Paradise just 20 metres from the beach and is built above the Centro Shopping Centre offering direct access to an abundance of cafes, restaurants and stores. 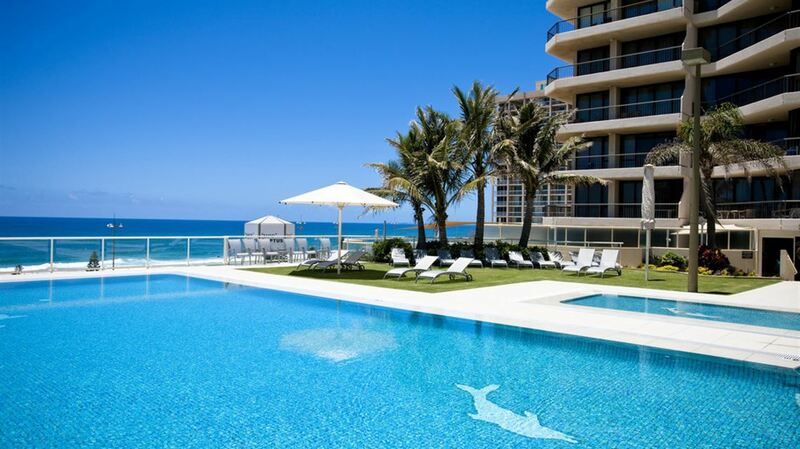 Our Surfers Paradise resort features spacious, self-contained One, Two and Three Bedroom Apartments all with stunning Pacific Ocean views, air-conditioning and full kitchen and laundry facilities. 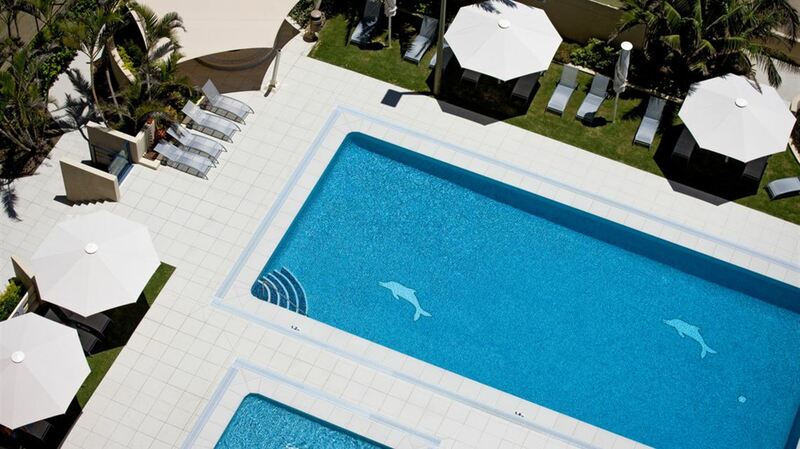 Located on level six of the resort you will find our recreation area complete with tennis courts and two newly designed swimming pools with lush grass and uninterrupted ocean views. 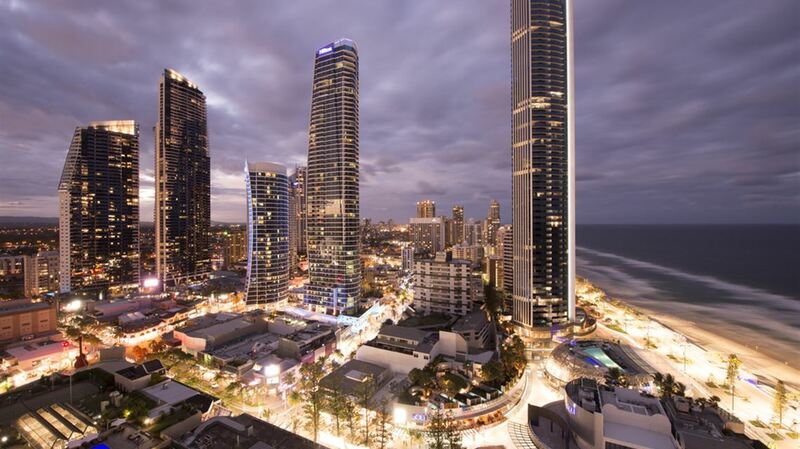 The shopping and dining hub of Surfers Paradise, Cavill Avenue allows you to spend your days wandering the mall and meandering through the many stores on offer before stopping for a bite to eat at one of the eateries with everything on offer from family restaurants to a la carte dining available. 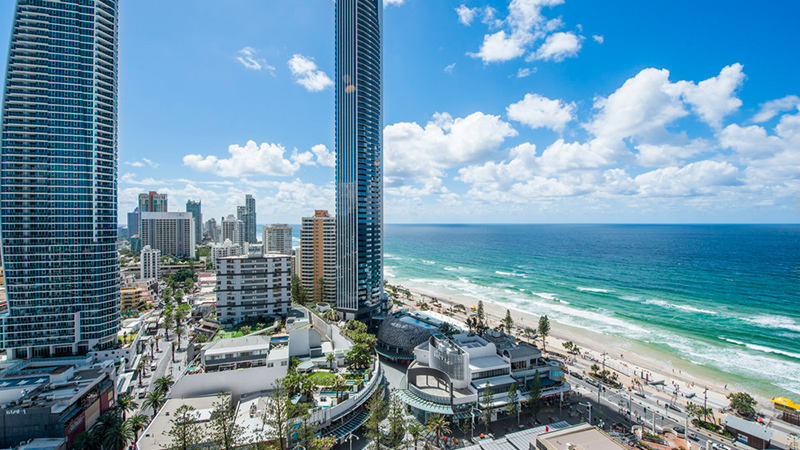 The Gold Coast theme parks are also just a short drive from Paradise Centre Apartments including Sea World, Movie World and Dreamworld making our Surfers Paradise resort the perfect base for a couples getaway or family holiday. 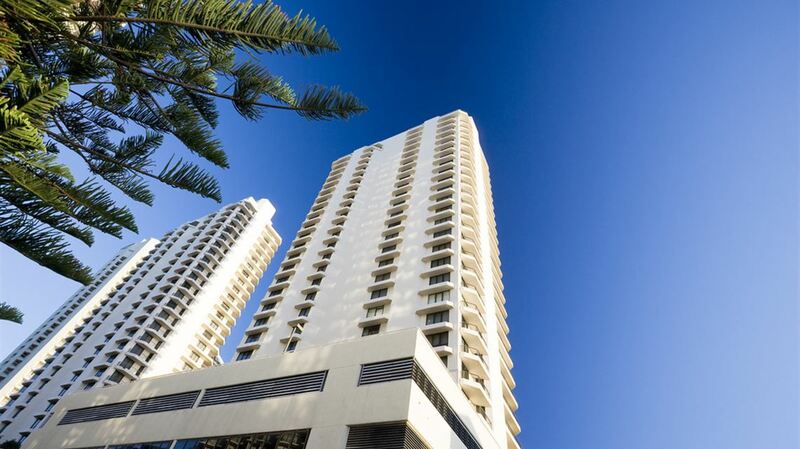 Paradise Centre Apartments is one of many Surfers Paradise accommodation options on the Gold Coast by Mantra Group. Paradise Centre Apartments houses both holiday and permanent tenants. From time to time owners may choose to renovate their apartments, which can result in some noise generated from works. We apologise for any inconvenience this may cause, please feel free to contact the property for further details. Complimentary car parking (1 vehicle per room). The height restrictions for the parking area is 2.0 meters. Vehicles above 2.0 meters will not be accommodated and will need to seek alternative offsite parking at their own expense. 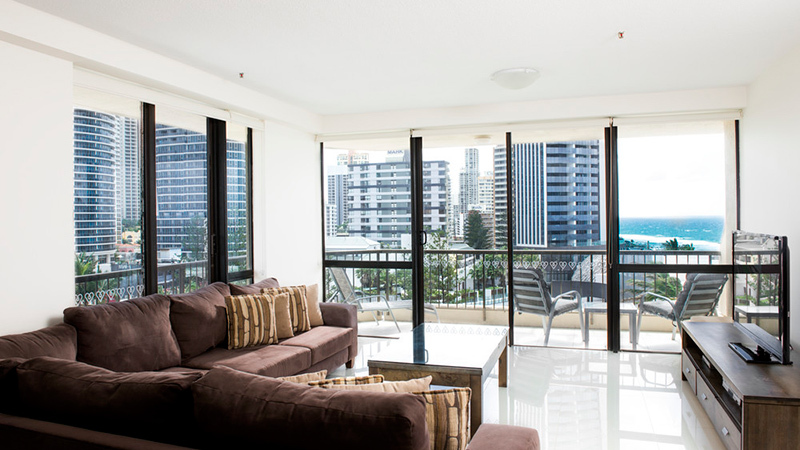 Paradise Centre Apartments offers on-site complimentary car parking (1 vehicle per room). The height restrictions for the Paradise Centre Apartments undercover parking area is 2.0 meters. Vehicles above 2.0 meters will not be accommodated and will need to seek alternative offsite parking at their own expense. Paradise Centre Apartments offers one complimentary parking bay per apartment. 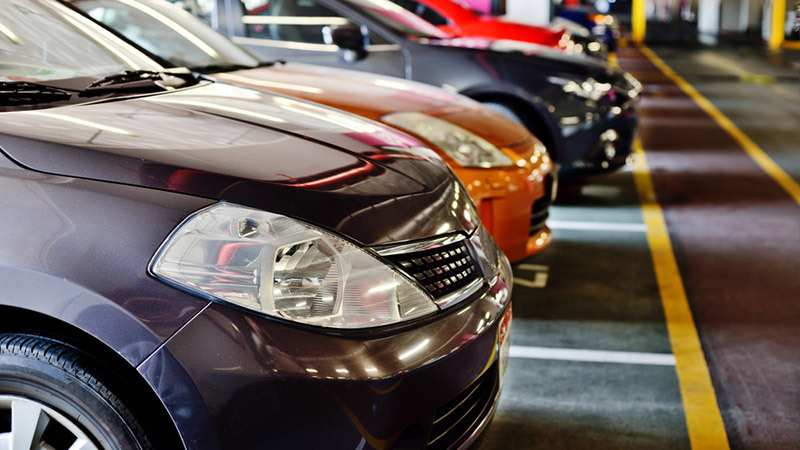 Any additional vehicle requiring parking will need to seek alternative offsite parking at their own expense.